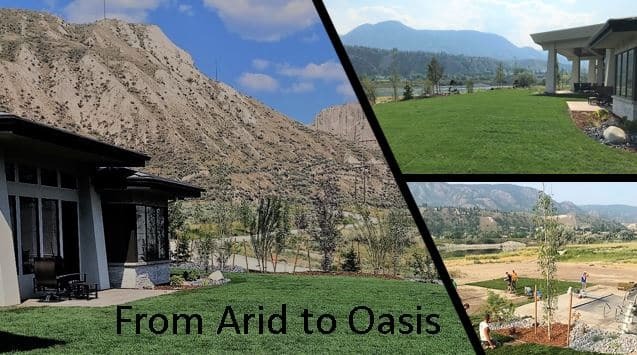 Western Turf Farms provided the turf for a transformational residential lawn install turning an arid area into an oasis along the Thompson River in Kamloops, BC. Record heat made outdoor recreation almost unbearable this summer, but a sod installation made this magical transformation into a cool, refreshing and useful landscape! 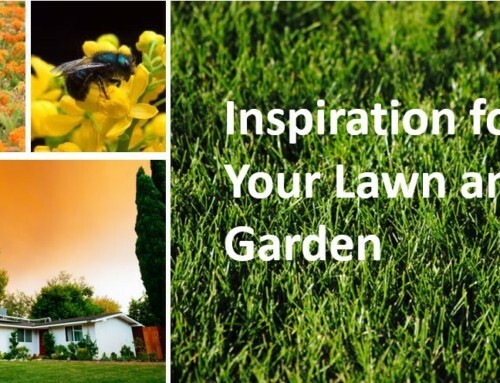 We provide turf not just for commercial and public use, but for residential as well. Situated with breathtaking views of the Thompson River and hills beyond, the newbuild home commands attention to the expansive surrounding residential lawn. It took considerable consultation and coordination among all the stakeholders due to the extremely hot dry climate. 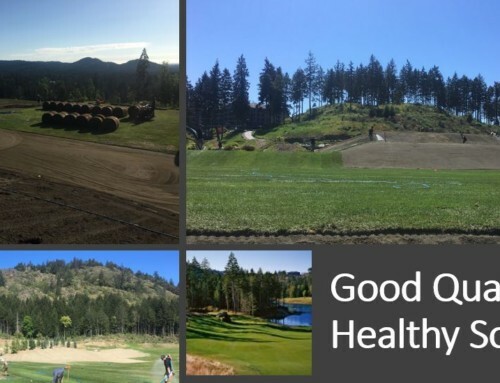 Latina Landscapes & Maintenance of Kamloops, BC installed 15,000+ square feet of Western Turf Farms turf in staggering 35C (95F) degree August heat. That is hot hot hot! The crew installed the turf by noon and the whole crew was on site at 5 am! The speedy install maximized the retained moisture of the sod. Latina Landscapes fabricated the topsoil onsite to ensure it was prepared properly for the residential lawn. The crew performed the soil testing themselves, making sure it was composed correctly for the turf selected. A full six inches of growing medium containing sand and organic material was added to a bit of native soil. This kept customer cost in check without compromising the install. The site was fully prepped prior to turf delivery to ensure the best growing conditions for the new beautiful lawn! 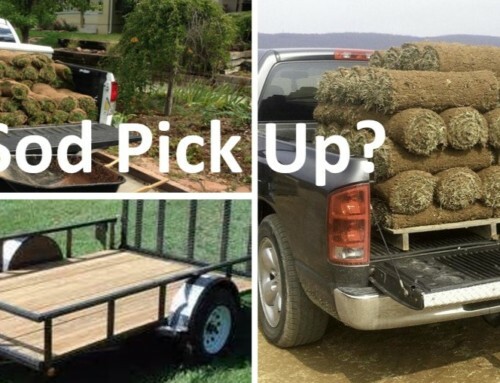 “Western Turf Farms is the best turf and I try to use it all the time now. It is always a plus for our projects because the stuff is spectacular” says Rino DeMarni of Latina (@demarnir). The project was a design-build following some rough specs. It included a large back and front yard, pool surround, over 100 planted trees, and a driveway. Latina also installed and designed the irrigation system. 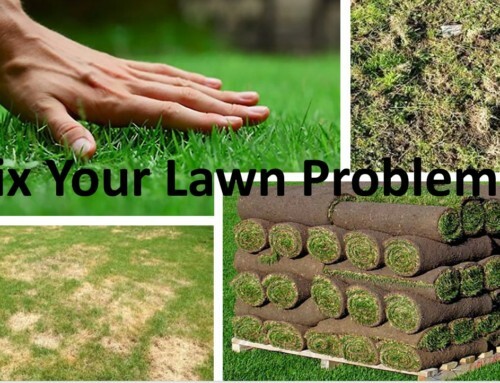 Consult Western Turf Farms for your turf needs for your next residential lawn project.